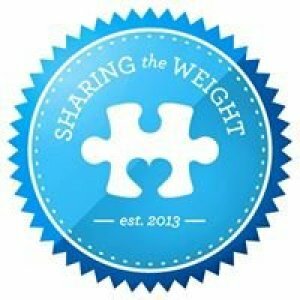 Sharing the Weight is a non-profit group based in Ottumwa, Iowa. The group’s organizer, Marci Prose, works with volunteers to create and distribute, (for a small cost) to help with shipping, weighted blankets for children with special needs. These blankets, which are stuffed with poly pellets, are typically valued at a cost of $100 - $450. "My family received three blankets. My 7-year-old now sleeps through the night and stays in his bed. My 14-year-old has stopped getting up in the middle of the night to hoard food and talks much less in his sleep. He has reported the blanket makes him feel safe. My 16-year-old son loves his. If he wants to lay on the couch...the blanket goes with him. Life changing for my family! I also grab the blankets at the first sign of a meltdown. They really make a difference." Jennifer Buttolph heads up the group and gets everyone motivated and excited on making these blankets for a much needed cause! Come join us on our monthly sew days to help these children in need and...."Share their Weight"! Please bring your own sewing machine and basic sewing supplies. If you have never made a weighted blanket, don't worry there are plenty of sewer's at the monthly sew day to help you learn how to Share the Weight in making a blanket for this wonderful cause!